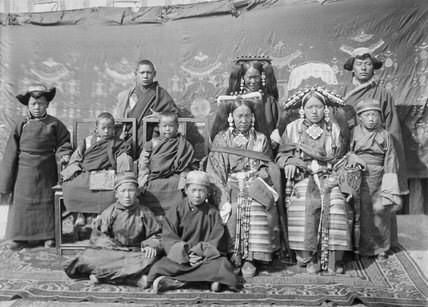 Members of one of the noble families of Lhasa, the Rakashar family. Textile hanging behind them. Sitting and standing on carpet.